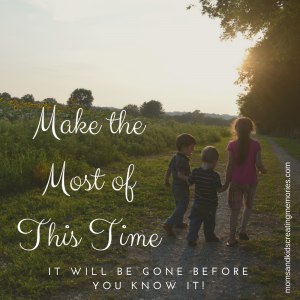 Kids are home on school break and you are running out of things for them to do? 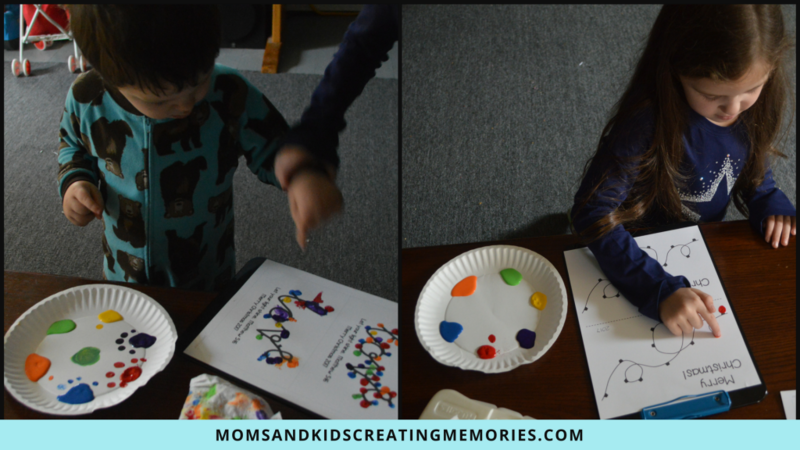 Here is a super simple yet fun craft to try with your kids. You can make it as a decoration for yourself or for family or use it to send out thank you cards or just make it for fun. Most of the supplies you probably already around your house and it isn’t messy so what could be better. I love to have simple crafts to do but can still have meaning or make a great Christmas gift or something to use to give to others. This craft does all of those. 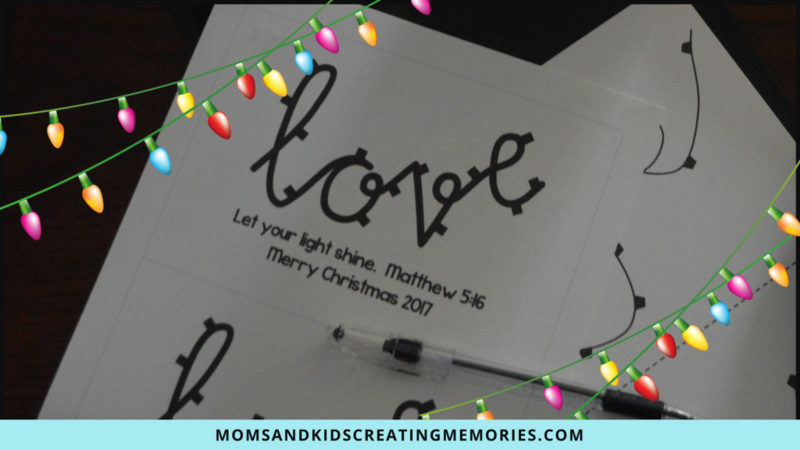 You can download two different free PDFs one is here and says Merry Christmas and the other one says Love and can be edited. I print the one I want to use off and most of your craft is done. I added on the year and a little Bible verse quote (Matthew 5:16) to make it a little more personalized. Once you have printed off your page and have all your supplies you are ready to go. Put the different color paint onto a paper plate, have a wipe nearby and put the paper onto a clipboard. 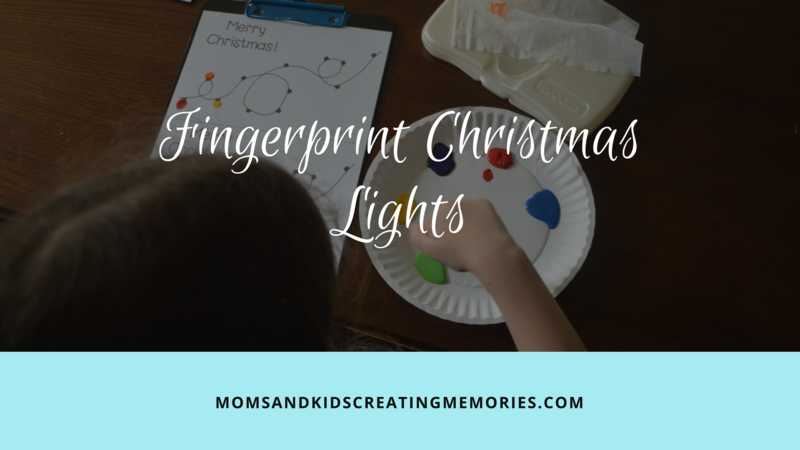 I do one color at a time dipping the child’s finger into one of the colors and making a few “Christmas lights”, then I keep doing that with all the other colors until all the “lights” are made. 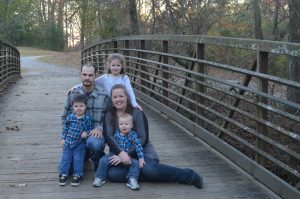 Depending on the age of your kids they might be able to do this completely by themselves like my five-year-old, my two year old could almost do it all himself with a little help from sissy, but my one year old I pretty much have to do it all. Once their creation is created I let it dry, add my finishing touches and then I hang them up or mail them off to family. Since this is such a simple craft you could have your kids do this repeatedly to give them something fun to do and not make a total mess for you. 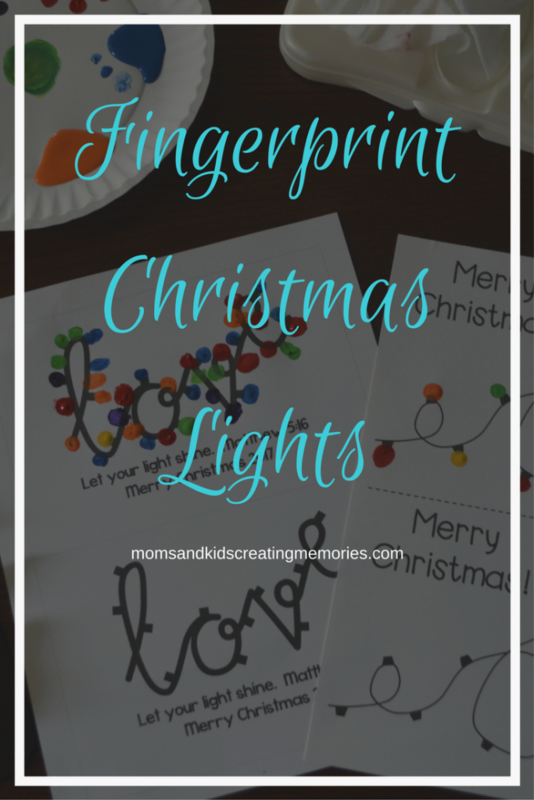 Another alternative to this that I have seen that would cost a little more money and maybe a little more difficult would be to buy a canvas and draw your own strand of lights onto it and do the same thing but onto a canvas to make it a little more permanent Christmas memory. 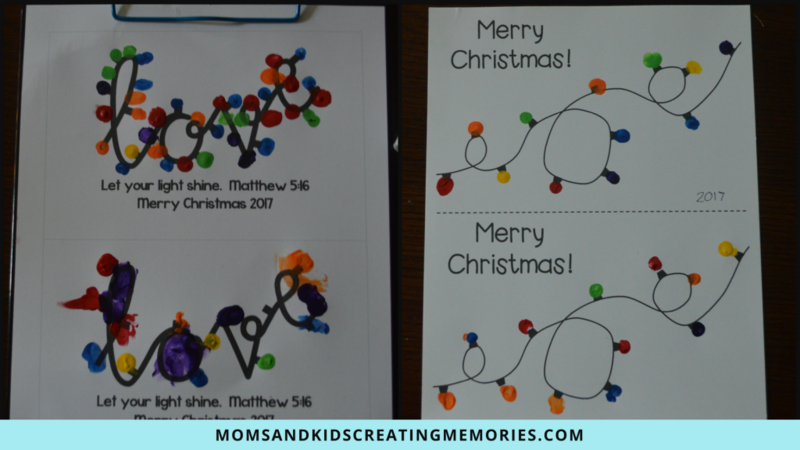 So, if you need a quick and cute Christmas craft I hope you try this out and let me know what you think. 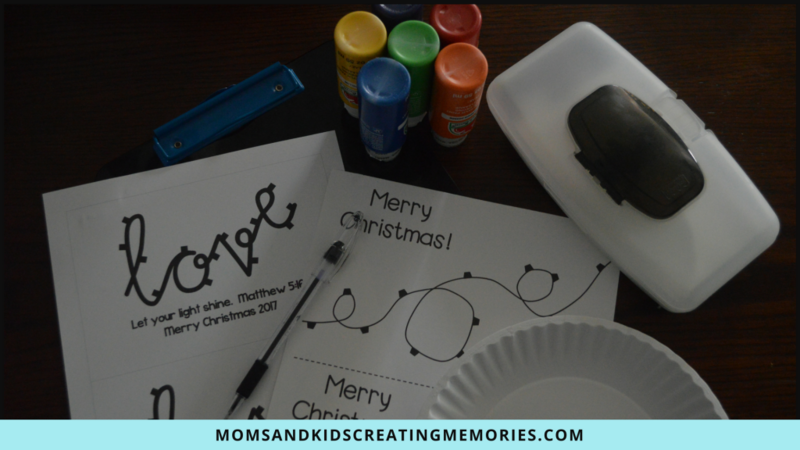 For a few other fun and easy crafts and activities check out my Coffee Filter Suncatcher Ornament and our Play Snow fun!